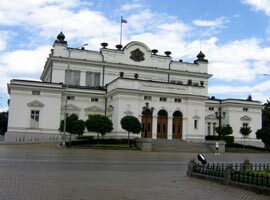 Hotels in Sofia - Sofia city information. Hotels in Sofia. Sofia - a city with the name of wisdom! 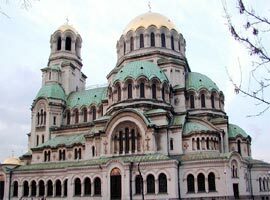 The history of Sofia dates back to 7000 years ago. Today Sofia is a modern and busy capital. All year-round a rich cultural life is an integral part of the city. There are many theatres, an opera house, operetta, concert halls, museums and galleries with valuable exhibits. And also - busy, boulevards, cozy cafes and restaurants, sparkling stores, picturesque markets, many parks and gardens. 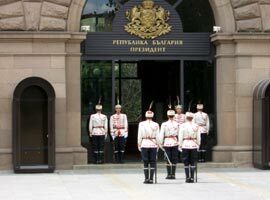 Sofia offers excellent opportunities for international congresses, symposia, meetings, conferences and fairs. Special business centers and luxury hotels are in close proximity to the bustling city centre. 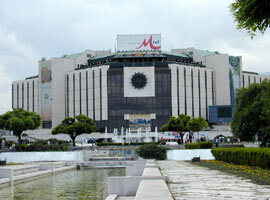 The area surrounding Sofia is rich in natural beauty. The tranquility and charm of the Vitosha Mountain offers ideal spots for picnics or walking in the summer and superb skiing in the winter. Shopping in Sofia is quite an experience. There are shining shops offering designer clothes, small antique shops, private art galleries displaying icons, modern art and jewellery, music shops and shops for traditional crafts feast the eyes. Each night in Sofia is a great experience. One has many options: concert, opera or theatre. Jazz and rock clubs or piano bars are also there. Nightlife in Sofia is as good as any in Europe. Other tourist attractions are the Church of Sveta Nedelya, the Banya Bashi Mosque (16th century) and nearby Turkish baths, the Hall covered market and clock tower Synagogue, the National History Museum, the Sveta Petka Samardzhiiska Church, the Russian Church, the Alexandar Battenberg Square, the flea market.